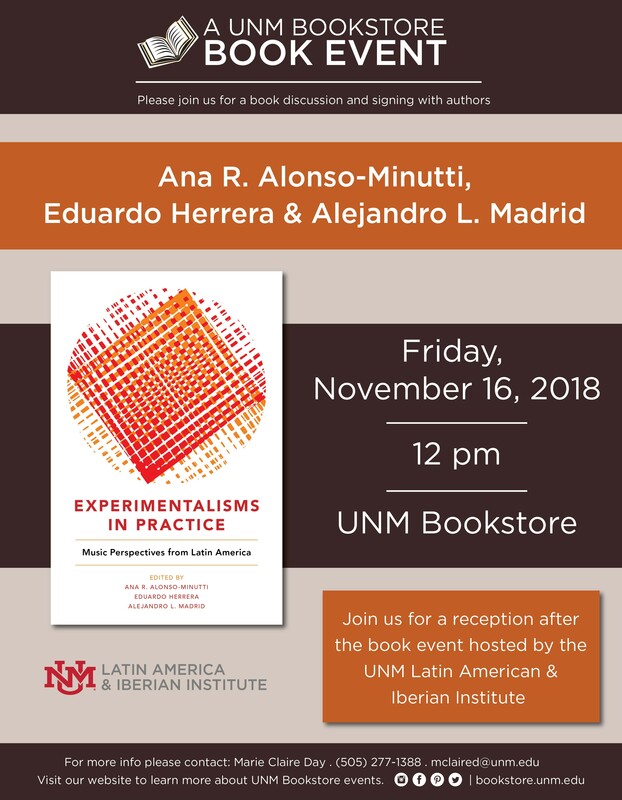 We would like to invite you to a Book Presentation & Signing event for Dr. Alonso-Minutti’s co-edited collection of essays, Experimentalisms in Practice: Music Perspectives in Latin America, published by Oxford University Press earlier this year. 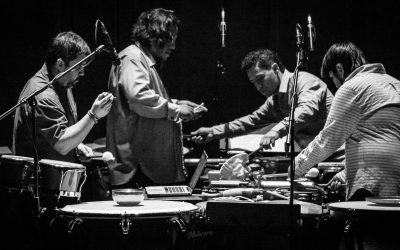 We are very excited to have the extraordinary opportunity to have the two co-editors, Alejandro L. Madrid (Professor, Cornell University), and Eduardo Herrera (Assistant Professor, Rutgers, The State University of New Jersey), also present at the event, as well as a number of contributors who will be in town attending the national meeting of the Society for Ethnomusicology. 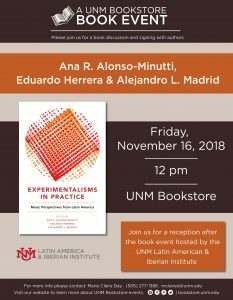 After the presentation, please join us for a reception afterwards, sponsored by the Latin American and Iberian Institute.